Across Washington state, the demand for solar electric systems is consistently rising among residents and businesses. 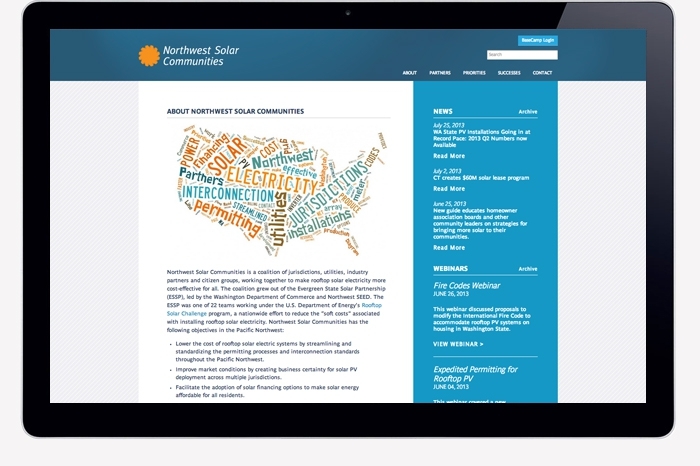 In response, several organizations came together to develop the Northwest Solar Communities initiative. The goal, provide better resources and knowledge to the jurisdictions, utilities and industry partners installing rooftop solar in their communities. 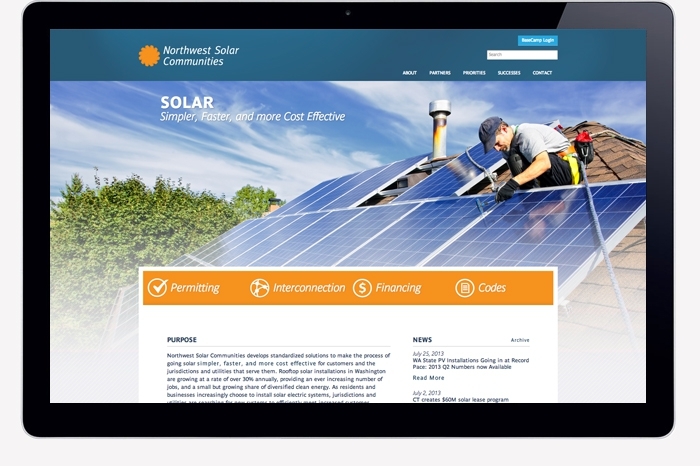 The Northwest Solar Communities site is a toolkit, designed to be immediate and flexible, allowing groups to meet the installation demand of customers and share best practices. 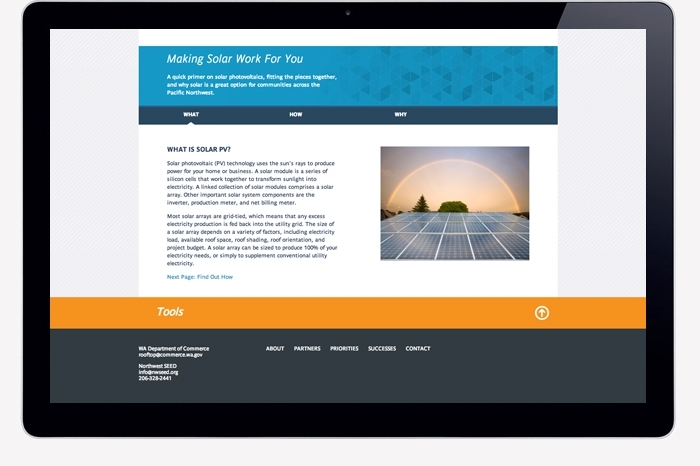 The site also acts as an advocacy tool, featuring community success stories.